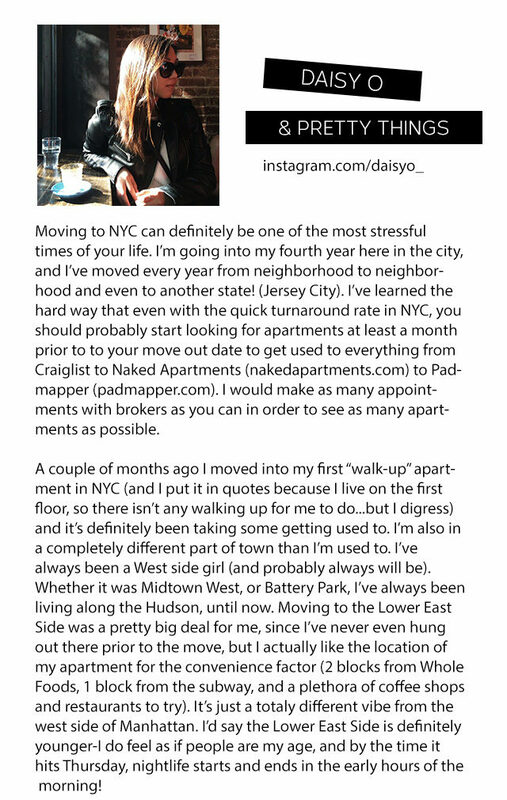 Ever since I had my home tours published, I get readers emailing me from time to time seeking advice on finding an apartment in NYC. As much as I wish I could help, I don’t have much advice to offer because I was lucky enough to find my rental apartment through my job. 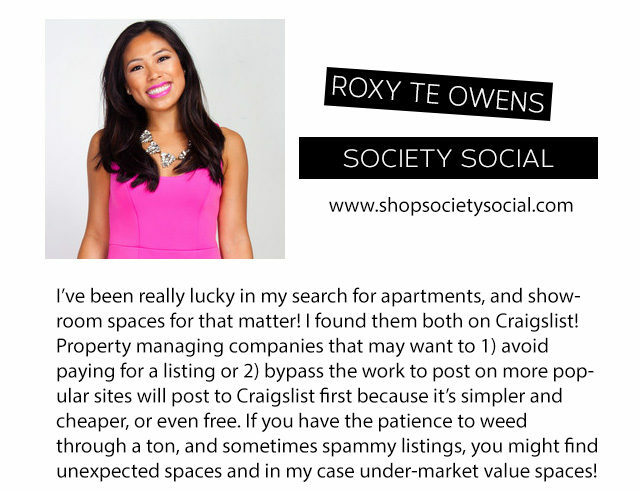 I mentioned to my friend Victoria how I always feel a little bad about not being able to help the people who email, and she (brilliantly) suggested that I ask a few of my favorite bloggers for their apartment-finding recommendations and share their answers in a post. So, I did just that! 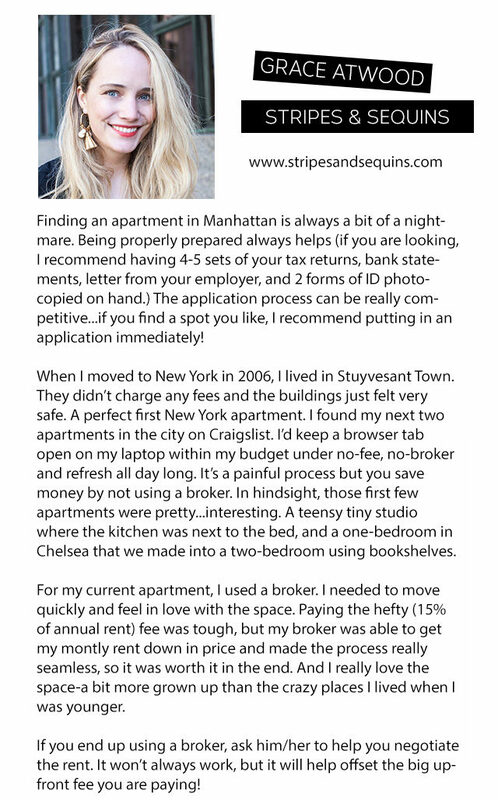 I think that anyone looking to move to NYC (or just apartment-hunting in general) will be able to gain a lot of useful insight from these lovely ladies. Read on for advice from the NYC bloggers behind With Love From Kat, Design Darling, Victoria McGinley Studio, Stripes and Sequins, Daisy O, and Society Social! Huge thank you to all of the awesome bloggers who participated in this post! So much good advice here!!! Ugh, I wouldn't go through the process again for anything, but for anyone who is about to, there's so many good tips from these gals! Thanks for the great advice/idea Victoria! What a great post! 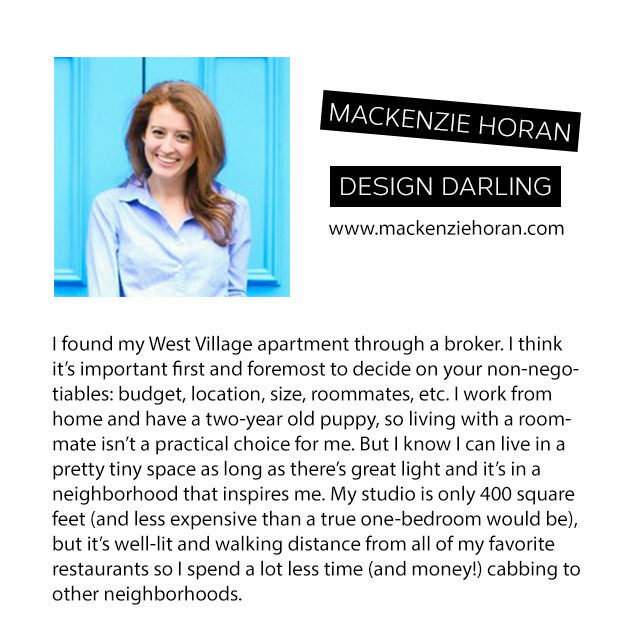 Your apartment is lovely; I see why you get inquiries! One more tip: It takes some time and effort, but use the housing section of the nyc.gov website to find rent stabilized buildings in areas that you like. The building's management info is provided as public record and you can then contact them to inquire about available units! SUCH a smart idea! Love it, thanks Alexis. Ya can't beat rent-stabilized! Excellent, excellent point about time of year, Nicola! It can make a huge difference as you learned. Yup…did that with my sister when we were looking for her apartment! 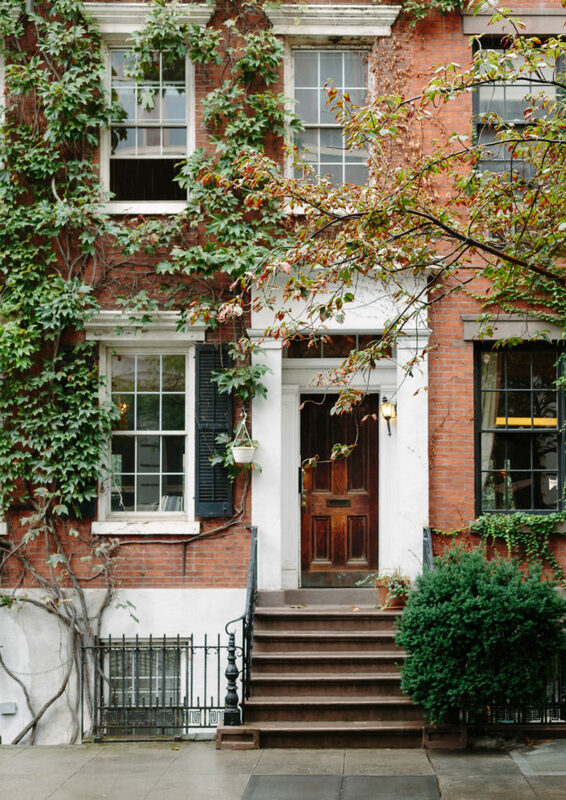 Sometimes word of mouth or just pounding the pavement can pay off. And old-fashioned landlords=the best. Love this post. So awesome to include the perspective of so many awesome bloggers. Thanks for this, Jackie! This is a great article with reality based info – kudos! I just moved to the upper East Side and avoided paying a fee by going through the management company. 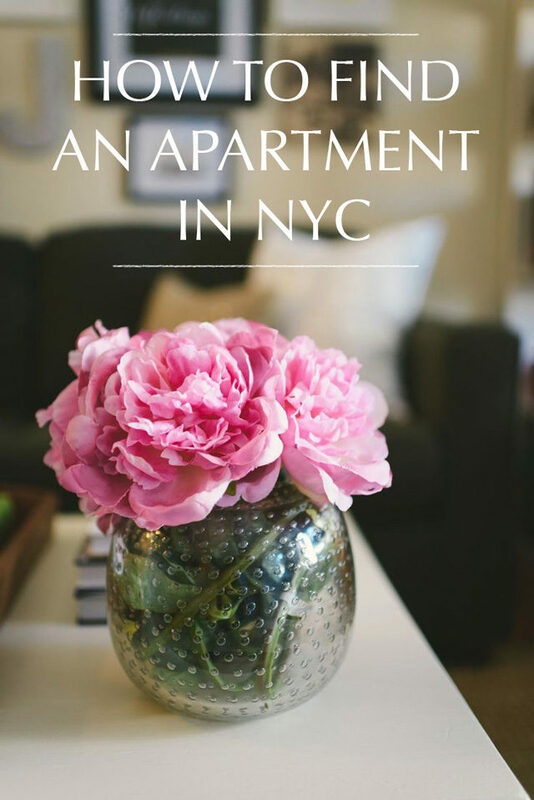 My apartment is wonderful – I’m spoiled! I think it will be much harder when I decide to buy. 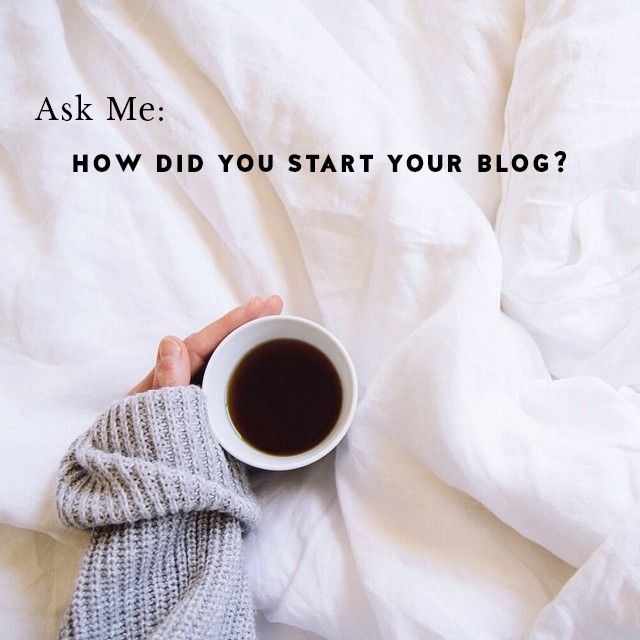 Love your blog – I’m glad I stumbled on it. I’m hooked!